Home energy audits are inspections and analysis of energy use in residential buildings and single family dwellings. They also help homeowners discover where energy is being lost or wasted. Residential energy auditors in Alameda County, including those in Oakland, Fremont, Hayward, Berkeley, San Leandro, Alameda, Union City, Pleasanton, Newark and Dublin provide comprehensive reports that give homeowners a breakdown of energy use, including wasted energy, underperforming or non-energy efficient appliances, health and safety concerns, and opportunities for energy savings. They may use a walk-through method to visually inspect homes, as well as using infrared cameras and other equipment to locate and measure unwanted energy loss. Some home energy assessors also provide energy efficiency upgrades and repairs to homes with old HVAC systems, old or cracked air vents or duct work, poor insulation, roofs that absorb heat or allow energy to escape, old or drafty windows and doors, outdated thermostats, missing weatherstripping, and other inefficient and outdated systems and materials. This can include installing Energy Star appliances and energy-saving devices, and replacing old insulation with more efficient insulation. You may also request a home health and safety check from your Alameda County home energy auditor. This can advise you of carbon monoxide levels, moisture, mold, the presence of asbestos, and other indoor air quality issues that may impact you and your family. While indoor air quality is a different discipline than energy auditing, the two are often related. That’s because heating and cooling systems are some of the biggest energy users in homes, and malfunctioning or old HVAC systems can create moisture problems and mold, and can spread asbestos and mold spores throughout the house. Often, home energy audits that point out energy inefficiency can also locate outdated or underperforming systems that lead to poor indoor air quality. The following articles will tell you more about home energy audits, why you should consider hiring a home energy assessment service in Alameda County, and how to get the best results from your home energy audit. Home energy audits from home energy companies in Alameda County, including those in San Leandro, Berkeley, Hayward, Fremont and Oakland help homeowners ascertain where energy is being lost from their homes, which systems are operating inefficiently and what measures can be taken to improve their home’s energy efficiency. Home energy surveys are simple visual inspections to assess general information about the energy efficiency of existing homes. This may include looking at windows and doors, viewing insulation, visual inspection of air ducts and vents, reviewing HVAC equipment and appliances for age and condition, and talking to the homeowners about comfort and concerns related to home energy usage and heating and cooling. Energy audits, also known as energy assessments, can be standard or detailed. These often include the visual aspects of home energy surveys and include the use of diagnostic equipment to help locate the exact number and location of air leaks, any leakage from HVAC vents and ducts, the effectiveness of insulation inside of ceilings and walls, and any other wasted energy or concerns. Sick building syndrome is the name given to buildings where residents and occupants experience health problems and illnesses that are directly linked to spending time in the building. Sick building syndrome is often reported in homes and office buildings, but may occur in any building whether new or old. Sick building syndrome is not related to energy loss, but is often addressed by home energy auditors who are also looking for malfunctioning and under-performing home systems, including HVAC units, which are the main culprit of sick building syndrome. It may also be caused by the presence of mold, asbestos, improper ventilation, chemicals and off-gassing, lack of fresh air, air filtration defects, VOCs and other airborne chemicals, and off gassing. Why Trust Diamond Certified Home Energy Auditors Rated Highest in Quality and Helpful Expertise®? The following associations and agencies are those that focus on home energy audits. They may have more information about professional home energy auditing companies in the Bay Area and across the country. Have a clear idea of what you expect before you make any initial phone calls or meet in person with residential energy auditors in Alameda County, including those based in Dublin, Newark, Pleasanton, Union City and Alameda and your local area. Writing down a list of questions and your needs and expectations will help you present a clear case to the local home energy auditing services you’re considering, and you may even be happier with the outcome. The following are a few questions to ask yourself as you prepare to interview Alameda County energy auditing services. Do I want a Diamond Certified energy auditing company that is top rated and backed by the Diamond Certified Performance Guarantee? What is my reasoning for having a home energy evaluation done? (Do you feel that you are paying too much for electric bills? Is your home and/or appliances or HVAC unit old? Are some rooms hotter or colder than others? Are you looking to save money on utilities, increase the resale value of your home or shrink your home’s energy footprint?? What is my budget for an energy audit? What is my budget for repairs, upgrades or purchases based on the residential energy assessment report I receive after the audit? Do I plan to live in my home long-term, or is it a rental property or house I plan to sell soon? How will that change my approach to this process? After you’ve done your due diligence by interviewing Alameda County home energy assessors over the phone and verifying their licensing and professional bona fides online, invite those that stand out as the best to visit your home to offer an estimate for energy usage auditing services. The following questions will get you started. Add to these sample questions a few of your own questions that specifically pertain to your home, your goals or your suspected home energy problems. How soon can we book our energy audit? How long will the energy assessment take? Should I be here when you perform the home energy audit? Do you recommend a walk-through visual inspection, an in-depth assessment, or another level of home energy auditing services based on what you see here today? How long will it take for you to complete the assessment report? How will you get the energy audit assessment report to me? Will you discuss the results with me over the phone or in person? Can you provide the repairs or fixes you recommend? If not, will you give me suggestions for companies that can provide the energy saving work? Will you provide me with a before and after air leakage graph and report that shows energy use and waste before and after the assessment and repairs? Will you provide a draft flue test before and after the assessment and repair/upgrade work? Do you have customer references I can call from Oakland, Dublin, Fremont, Newark and Hayward or my local area? All Diamond Certified home energy audit services, like all other Diamond Certified companies, have passed an in-depth ratings process that most other companies can’t pass. If you want quality from a home energy audit service in Alameda County and the Greater Bay Area, you can have confidence choosing a Diamond Certified company. 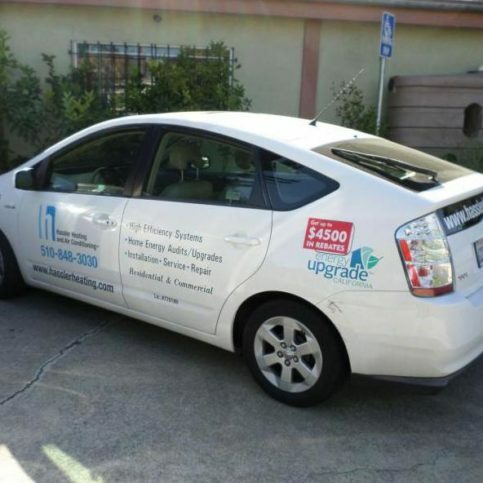 If you can’t find a Diamond Certified home energy auditing company in Oakland, Fremont, Hayward, Berkeley, San Leandro, Alameda, Union City, Pleasanton, Newark and Dublin or within reach, you’ll want to do some research on your own. If you do, it’s wise to call some references provided by your home energy audit service. Remember, references provided to you by home energy audit services are not equal in value to the large random sample of customers surveyed during the Diamond Certified ratings process. That’s because references given to customers from companies are cherry-picked instead of randomly selected from all their customers. So the contractors will likely give you a few customers to call that they know are satisfied. Were you satisfied with the service and home energy assessment from (company name)? What was the scope of assessment they did for you? Did they also provide the repairs or energy leak fixes they recommended in their energy audit report? Did the Alameda County home energy assessor give you your energy report in a timely manner? Did they discuss their findings with you? Were there unexpected costs associated with the residential energy assessment? If so, what were they? If you live in a smaller area such as Sunol, San Lorenzo, Piedmont, Albany, Emeryville, Komandorski Village, did they charge extra to travel to your home? 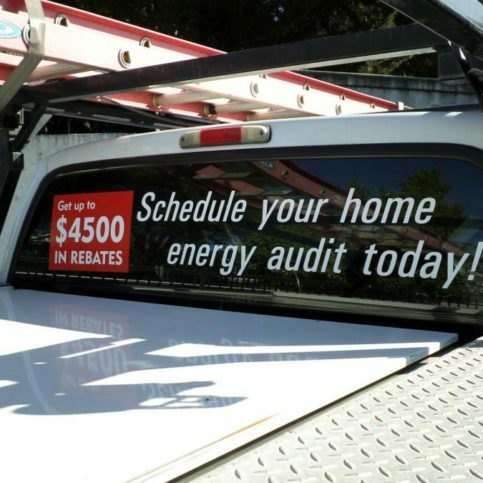 Did this Alameda County home energy auditor show up on time for their schedule appointment? Did they leave your home as clean as it was when they arrived? Would you hire this home energy assessor again? Would you recommend them to others? Have you recommended them to friends or family? 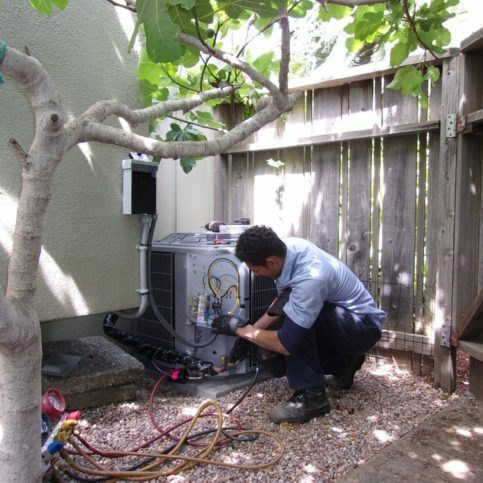 What was the best part of working with this Alameda County energy auditing company? Was there anything you didn’t like about this company, their services or the outcome of your assessment that could have been avoided? Your careful hiring process will help ensure that you get the best home energy auditing company to provide a reliable and complete energy assessment for your home. Before deciding on the best home energy audit service in Alameda County for you, it’s important to consider the following questions. Can an Alameda County in San Leandro, Berkeley, Hayward, Fremont and Oakland, Mount Eden, Piedmont, Russell City, San Lorenzo, Emeryville, Ashland or your area energy usage assessment service meet your needs in terms of scheduling, cost, services and information? Are they knowledgeable on the different energy auditing services that are available to you? Can they competently explain to you which energy auditing services and repairs will best suit your needs and why? Will they put their findings, recommendations and any guarantees in writing? Home energy auditing services in Alameda County, including those in Dublin, Newark, Pleasanton, Union City and Alameda and beyond can be choosy with whom they do business. That’s because bids are expensive and time-consuming to prepare, and most local home energy assessors are too busy to want to deal with difficult or overly-demanding customers. So it’s reasonable for them to be selective about which customers get their time and expertise. There are some ways you can encourage good home energy assessors to bid on your job. 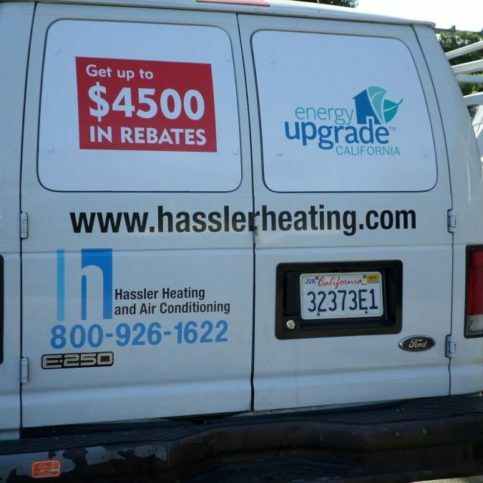 Shop among local home energy contractors in Alameda County. Most prefer to stay in the local area, as it enables them to provide more timely service. Hiring locally also shows that you’re serious about quality and value, rather than cost alone. That’s important because some questionable contractors travel long distances to provide cheap home energy audits and low-quality efficiency products that local contractors can’t compete with price-wise. Be honest about the fact that you’re accepting other bids and interviewing other residential energy auditing services. Assure them you’re gathering just a few bids, not dozens, and that you’re looking for quality and the services that best meet your needs. Look for good value, not just lowest price. The first question that most contractors usually hear is about price, so it’s important to show them you understand the importance of quality and overall value. You’ve found the perfect Alameda County home energy auditor that meets all of your requirements. Now is the time to ask for a contract that includes price, assessment details and timing guidelines. The contract you sign with Alameda County home energy assessment services should protect you, your property and your energy evaluator. For this reason, never sign a blank or incomplete estimate. Read the entire contract and understand the terms before you sign it. And don’t be afraid to write in your own requests or put in writing the verbal agreements you’ve made with the company representative who provided your home energy assessment estimate. Then schedule an appointment for your home energy audit, find out what you can do to simplify the process or help ensure more accurate results, and move ahead with your agreement. There are a few things you can do before and during the home energy audit to get more accurate results and to ease the process for your Alameda County energy auditor, whether you live in Oakland, Dublin, Fremont, Newark and Hayward or another location. Ask your home energy auditor what you can do to ease the process. They may want you to compile a year’s worth (or more) of utility bills so they can look at your home’s history, give them access to the basement or crawlspace and attic, and allow them access to every room in your home. You may also want to have available records of the ages and repairs on your HVAC system and appliances, and any upgrades or work you’ve had done. Keep children and pets out of the rooms where the assessors are working. Be home and available during the assessment audit, and be available to talk through the results with them over the phone or in person. Clear the spaces around your HVAC unit, AC system, air vents, heater vents, and other areas the inspectors may want to get a closer view. How Can You Be a Good Home Energy Audit Service Customer? It’s your Alameda County home energy auditor’s responsibility to provide accurate auditing and assessments of your home’s energy usage, including giving you information about upgrades and repairs that can make your home more energy efficient. You also play a big part in the success of your home energy audit and the resulting upgrades and changes, too. Here are a few simple steps you can take to be a good customer when hiring a Alameda County home energy audit service in Pleasanton, Berkeley, Union City, San Leandro and Alameda and other parts of the Bay Area. Be clear and upfront with the home energy auditing service. Let them know what you want from your home energy audit, the long-term outcome you’re expecting and specific ways they can satisfy your expectations. Before you hire a home energy auditor in Alameda County, restate your expectations and goals, and reiterate to the home energy audit service representative your understanding of the agreement. Most problems with local home energy auditing services occur because of a breakdown in communication. By being clear about your expectations and theirs, you can avoid most conflicts. Ask your home energy consultant if you should call to check on the progress or if he will call you with updates. Be sure your contact has a phone number where they can reach you during your home energy assessment. The work will move along more smoothly if your home energy audit service can reach you for any necessary updates, questions or work authorizations. When your residential energy assessor contacts you, return calls promptly to keep the home energy audit service on schedule. Pay for the home energy audit promptly. Why would you want to be a good customer? 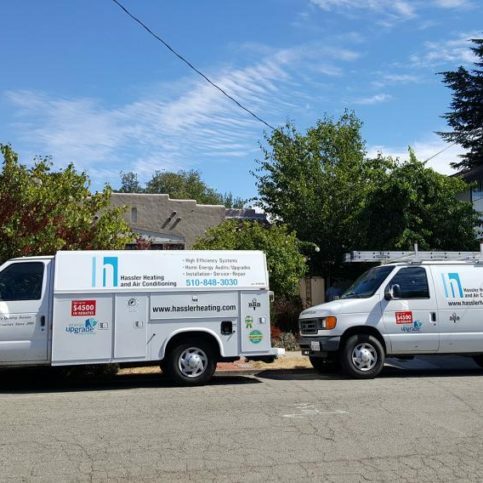 Home energy auditing companies in Alameda County appreciate customers who are straightforward, honest and easy to work with. Your good customer behavior sets the tone from your end and creates an environment conducive to a good working relationship with your home energy auditor. The process may well go smoother and any problems with your contractor may be more easily resolved because of the good relationship you’ve forged through your positive and open behavior. Once the energy audit and resulting assessment are done, you will probably meet with the assessor to discuss their findings and the options they recommend to make your home more energy efficient and healthier. Your Alameda County energy auditing company may give you an invoice for services rendered at this point, whether you plan to move forward and hire them for the recommended repairs or upgrades, or whether you plan to hire another contractor for the energy and efficiency upgrades. Review the invoice they give you and ensure that you received all services outlined. If you have any questions about the home energy audit the company performed or their findings, now is the perfect time to ask for clarification. 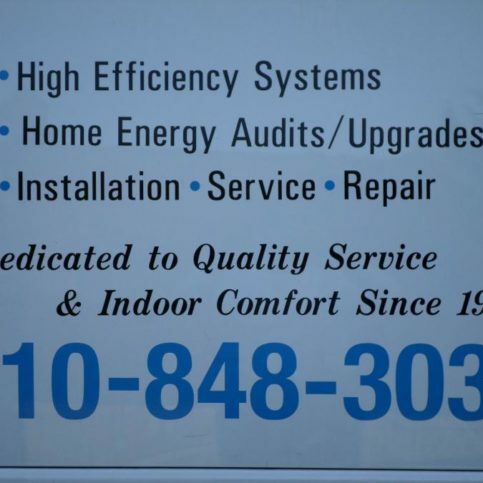 The home energy audit service company’s name, physical address and state license number. A complete list of all assessments and auditing services performed. The total cost for the home energy audit service services, including the itemized amount charged for labor. A written explanation of any warranties or guarantees provided. While not all home energy auditors offer guaranteed services, some may provide a warranty or guarantee that promises their findings are accurate. If your energy assessor guarantees their services, they should be willing to provide proof of their guarantee in written form. The Alameda County home energy audit service contractor’s name, physical address and state license number (if applicable). A description of what the warranty covers. This should include whether the company will redo any faulty or inconclusive tests. If the warranty coverage is transferable to the new owner if you sell the home or building in which the energy audit was done. Homeowners in San Leandro, Berkeley, Hayward, Fremont and Oakland and throughout the rest of Alameda County hire home energy audit companies to provide accurate and informative assessments of their home’s energy usage and a recommended course of action. The services listed below are some of the most commonly requested. Talk with your local home energy assessor about your specific needs and the unique way your home works. Basic home walk-through energy audits are those performed by home energy assessors in Dublin, Newark, Pleasanton, Union City and Alameda and the rest of Alameda County that entail walking through the home and visually inspecting it for energy efficiency and potential problems. This includes visually inspecting the age of doors and windows, looking for cracks or gaps between walls and other surfaces, visually inspecting the age of appliances and HVAC systems, and other visual cues that a home may be losing energy efficiency through aging or damaged systems or surfaces. In-depth home energy audits usually include the use of technology to look for invisible or hidden energy leaks, including those in HVAC duct work, roofing systems, attics and crawlspaces. This may also include reviewing utility statements and other proof of energy usage and costs over time. The final report on a home energy audit is referred to as a home energy assessment. These reports include any findings made by the home energy auditor and recommendations for improvements, repairs or upgrades that can help homeowners save energy and make their homes more energy efficient. Professional home energy auditors’ number one job is finding areas of energy loss in homes and advising homeowners of ways they can stop wasting energy. This may include repairing or replacing old or damaged heating ducts, replacing old appliances with Energy Star or energy efficient models, and improving insulation. Heating, cooling and ventilation units are some of the most common culprits of home energy efficiency problems. This includes the units themselves and the ductwork that carries the air from the unit to individual room vents. HVAC system energy audits review the entire heating and cooling system to find air leaks and other inefficiencies. Home appliances including refrigerators, freezers, dishwashers, washers and dryers, and hot water heaters can be audited for energy loss and wasted energy. Home energy appliance audits can find the source of wasted energy and make recommendations on replacing or repairing malfunctioning or under-performing appliances. 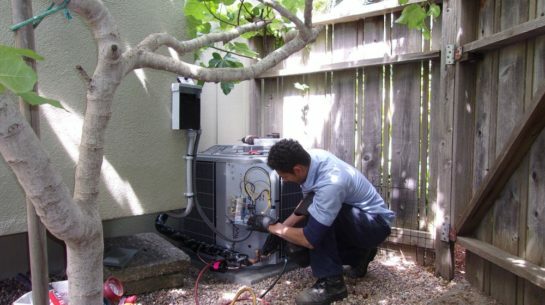 Home energy auditors in Alameda County will provide clients with an assessment that recommends efficiency repairs and upgrades to home systems and materials that are currently under-performing. Home energy auditing companies have their own language, and you’ll benefit from understanding the basic terms and definitions used by local home energy auditors. The glossary below includes some of the more common terms you may want to know when hiring residential energy auditing services. Air sealing is the process of sealing cracks and leaks in a home, usually with caulking, spray foam, foam, weather stripping and similar materials. Since attics, basements, windows, doors and crawlspaces are some of the most common culprits when it comes to air leaks and drafts. Air sealing these areas is one of the most cost-effective ways to increase a home’s energy efficiency and is usually one of the first things an energy audit company recommends. BPI stands for the Building Performance Institute. The BPI is an organization that exists to increase the energy efficiency of homes. CFL bulbs, also known as compact fluorescent light bulbs, are those made of compact fluorescent tubing rather than the traditional incandescent light bulb. CFLs use less than half of the energy of traditional light bulbs, which can save more than $30 over the life of the bulb. Demand response are programs and technology that help reduce peak electrical usage during times of peak usage or when energy costs are highest. These technologies shift electrical usage to non-peak times when possible. These are usually devices and technologies that control or store energy during peak times for use during off-peak times. Pool pumps, AC units and water heaters are examples of appliances and items that may benefit from demand response technology. Energy efficiency measures, also called EEMs, are appliances, equipment or use patterns that reduce the amount of energy without sacrificing service or usefulness. EEMs include heating and cooling systems, refrigerators, water heaters and similar items. The ratio used to measure the efficiency of air conditioning systems. Higher energy efficiency ratio numbers mean the equipment will run more efficiently at higher outdoor temperatures.AC units with EER ratings higher than 12 may qualify for tax credits or other incentives. Energy Star (often stylistically written as ENERGY STAR) is a federal program run by the Environmental Protection Agency (EPA) to certify and label energy efficient products and materials. Energy service companies, also known as ESCOs, are businesses and organizations that install energy efficient equipment or materials in homes, commercial buildings and other facilities. Existing homes are residences that already exist. New homes are being built with home energy saving equipment, materials, appliances and fixtures. However, that doesn’t mean existing homes can’t also be energy efficient. Local residential energy auditing firms can perform energy audits and make recommendations to help owners of existing homes bring their houses up to peak energy performance. The grid is the electrical distribution system, made of power lines and generators, that provides power to customers who are connected through the grid. Customers who don’t rely on the public grid for power are said to be “off-grid”. The Heating Seasonal Performance Factor (also known as HSPF) is a rating that shows the heat output of air conditioning heat pumps during normal usage. Heat pumps with high HSPF ratings are more efficient than those with low ratings. The Home Energy Rating System is a scoring system for home energy usage designed by the Residential Energy Services Network, also known as RESNET. The HERS scores homes on a scale of 100 to 0, with lower scores reflecting more energy efficient homes. HERS ratings also project energy costs. Home energy audits are professional assessments of how much energy a home uses and ways that homeowners can make their houses more energy efficient and decrease their energy use. Do-it-yourself energy audits (DIY home energy audits) are available for homeowners who want to know basic facts about their home’s energy usage, and professional home energy assessments can provide more accurate information about the energy homes use and can analyze the usage and give recommendations on the ways homeowners can save energy. Local home performance contractors are those that retrofit existing homes to make them more energy efficient. This may include installing new doors and windows, energy efficient appliances and fixtures, and improving insulation. LED lights, short for light-emitting diodes, are lights that use 75 percent less energy than traditional bulbs. They last up to 50 times longer than incandescent lights. Load is defined as the amount of power required to run an appliance or electric system. Load can be required by consumers, circuits or electric company systems. Household load is considered the electrical load used by all of the electrical devices, appliances, lights and other electric systems in a home. A system designed to manage the timing and amount of electricity used by homes or customers during peak times. Non-utility energy suppliers and independent power producers are companies or suppliers other than local utilities that provide electricity or gas. The times when electric power is at its peak. Peak demand usually occurs on summer days because air conditioner use increases. Energy costs during peak demand times and days may be higher than at off-peak times due to systems put into place by energy companies to encourage customers not to use more energy than necessary during peak times. Load management systems and careful user management can limit peak demand usage. Whole home energy programs are those that assess the current conditions and make recommendations to make entire homes more energy efficient. This includes long-term planning for life-long energy efficiency throughout the home. The following questions are those that are asked most often about local home energy auditing services. As always, ask your residential energy auditor for details about their services, rates and abilities, and about your specific needs. Q: Why choose Diamond Certified home energy auditing services? A: Diamond Certified helps you choose a local home energy audit company with confidence by offering a list of top rated local companies that have passed the country’s most in-depth rating process. Only home energy audit companies rated Highest in Quality and Helpful Expertise® earn the prestigious Diamond Certified award. Most companies can’t pass the ratings. American Ratings Corporation also monitors every Diamond Certified company with ongoing research and ratings. And your purchase is backed by the Diamond Certified Performance Guarantee, so you’ll feel confident choosing a Diamond Certified home energy audit service. Q: What is a home energy audit? A: Home energy audits are energy assessments done on residences to determine how much energy the home uses, how much energy is being lost or wasted, which systems in the home are operating efficiently, any inefficient systems or appliances in the home, and an assessment of ways homeowners can make their homes more energy efficient and cost-effective. Q: What types of residential energy audits are available? A: Home energy audits can be in-depth or visual only, and may be provided by local energy efficiency companies or as DIY inspections. Home energy audits, also known as home energy assessments, can be standard or detailed. These often include the visual aspects of home energy surveys and include the use of diagnostic equipment to help locate the exact number and location of air leaks, any leakage from HVAC vents and ducts, the effectiveness of insulation inside of ceilings and walls, and any other wasted energy or concerns. Q: Why should I consider an energy audit for my home? A: Residential energy audits can improve the comfort and function of your home, lower your energy bills, lower your home’s footprint, highlight energy wasters in your home, fix ventilation and humidity problems, reveal hidden problems that may become worse over time, and can even increase the resale value of your home. While home energy audits are important, equally important is hiring the right contractor to repair the energy leaks or inefficient areas of your home. Q: Won’t my energy provider or local utility provide a free energy audit? A: Some local utilities may provide free home energy audits, but these are usually visual walk-through assessments only, if you can find them at all. The more thorough diagnostic testing you want is usually only available through a local home energy auditor. Q: How do I know which type of energy audit is best for me and my home? A: That’s a question your home energy audit service can best answer. You should consider your energy conservation goals, the age of your home, your monthly and annual expenditures on energy, and think about visual or experienced issues you face in your home every day that may signal a problem. You should also think about how long you plan to live in your home, and whether an energy assessment and the ensuing repairs or changes will help make your home more comfortable and/or increase its value. Q: How long do most home energy audits take? A: Most residential energy audits take one to three hours, depending on the services and depth of the audit. Talk with your residential energy auditor for specifics about your case. Q: What will I spend on a home energy audit? A: That depends on the type of energy assessment you’re having done and on the company that provides the services. Be sure when you’re calling various local home energy auditors and getting estimates that each company is bidding on the same scope of work. You can expect to pay anywhere from a couple hundred dollars to a thousand dollars or even more depending on the scope of your work. Q: Can I do anything to make my home energy audit more effective? A: Before the home energy auditor arrives, think about and record specific concerns you may have, including areas of your home that feel too warm or too cool or spikes in energy costs. You should also be prepared to give the home energy auditors access to your attic, basement or crawlspace, and all rooms in your home so they can complete your assessment as accurately as possible. You may be asked to have utility records available from a certain scope of time so your auditor can see changes over time to your energy consumption and spending. Q: Should I plan to be home during my home energy inspection? A: Yes, that is wise, unless your home energy auditor specifically tells you that you don’t need to be there. It’s smart to be present for your home energy audit so that you can talk with the inspector about your home and your experiences, the way you and your family use energy, and any concerns you have. Q: How will I get the results of my inspection? A: Most companies will email you a report and assessment. They may also want to schedule an in-home meeting with you to review the results of your home energy audit. This usually includes a summary of their findings and recommendations for fixing, repairing, replacing or improving any leaks or deficiencies they’ve found.